This is a 8-month Block of the Month. Aptly named for the Goddess of the Stars, it is a celestial masterpieces in blue and white batiks. The finished quilt measures 106" x 106". Each month there is a new block to make and instead of making one you will make several of the same block. 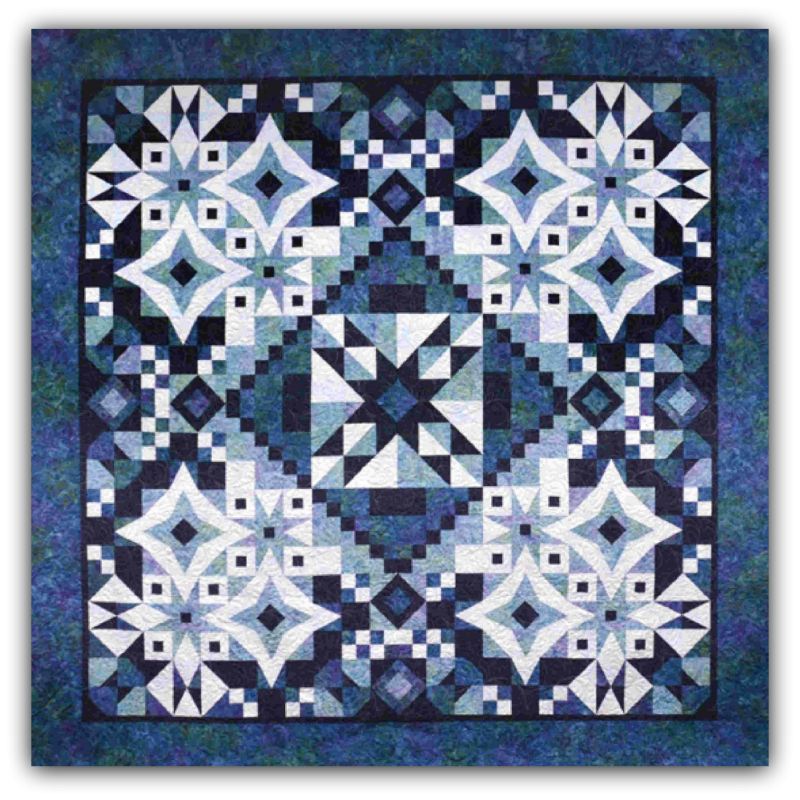 There is even a bonus quilt pattern each and every month that features the current month block designed into another whole quilt. The way Asteria blocks are put together is so stunning, it is all pieced with straight lines but appears curved. This quilt can be made by a confident beginner.